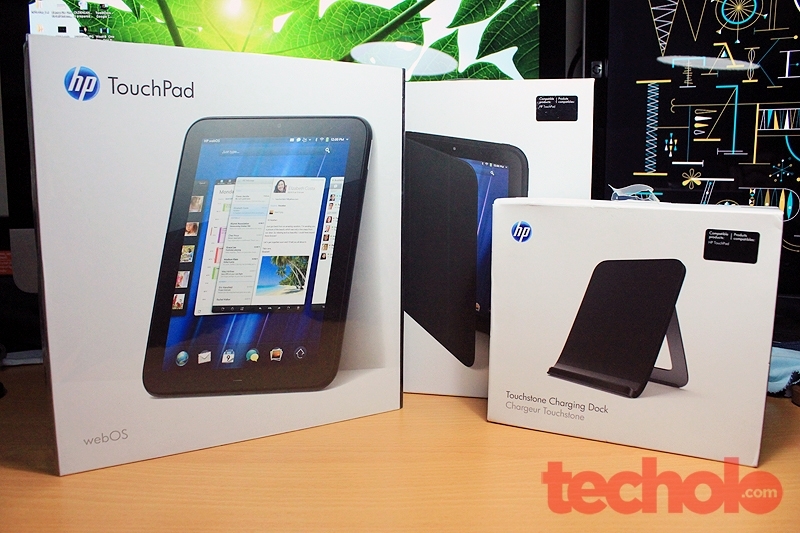 Here lies the infamous HP TouchPad – on my desk. After using it for a couple of days and reviewing past WebOS devices such as the Palm Pre Plus and Palm Pixi Plus. 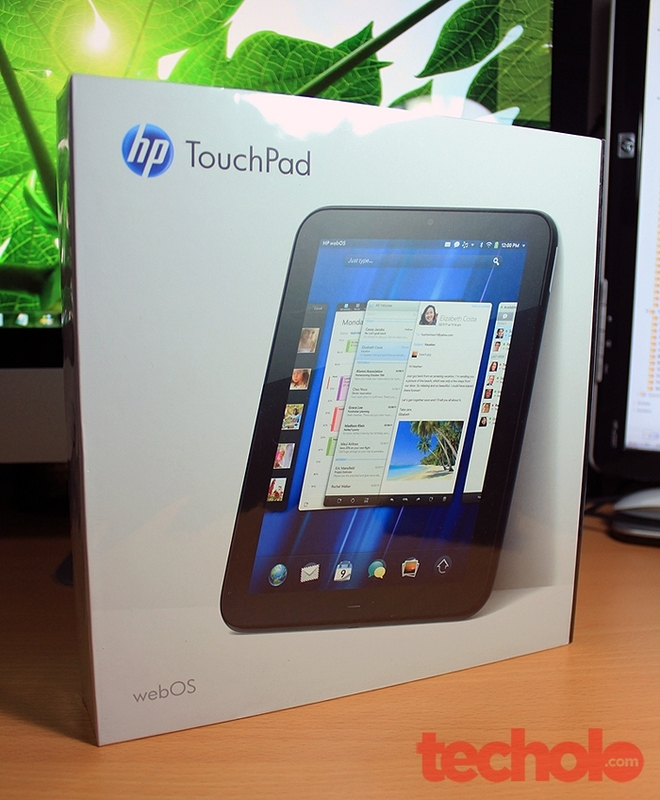 I just had to try out the latest, greatest and the last WebOS device, the HP TouchPad (Pre 3 you’re next!). If you’re ready for lots of bandwidth hogging photos and my review of a dead device then hit past the jump! If you haven’t heard the story, let me run it down quick. 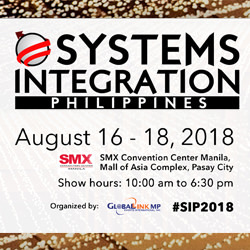 After buying Palm and WebOS last April 2010, HP made a promise to continue and improve the whole WebOS ecosystem by providing a great hardware and scale for the platform to grow and attract developers. Sadly, it didn’t happen. 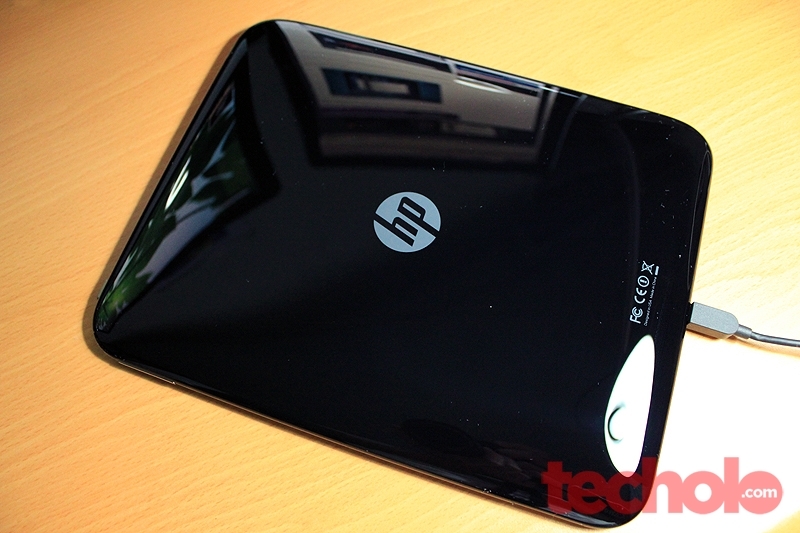 Just after a month of releasing the TouchPad, HP decided to kill the WebOS business and even considered spinning-off their PC division. So enough of the history, let’s move to the review. 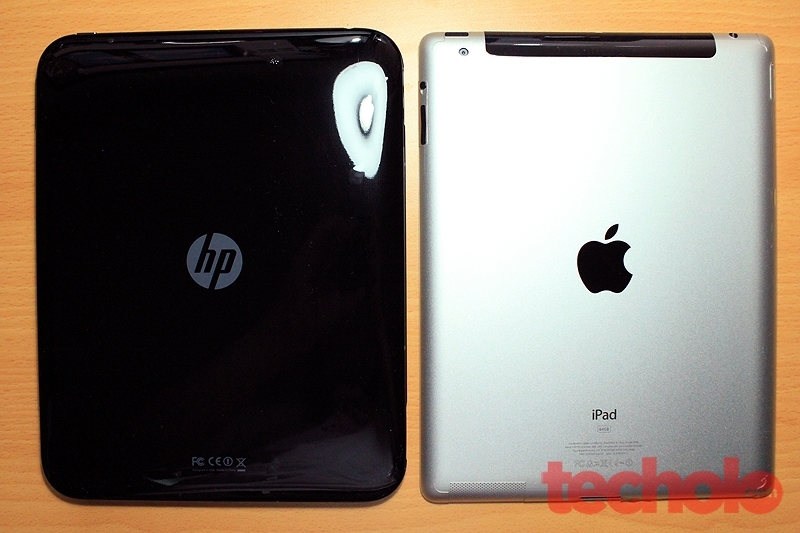 The HP TouchPad case looks like the original iPad 1 folio case. 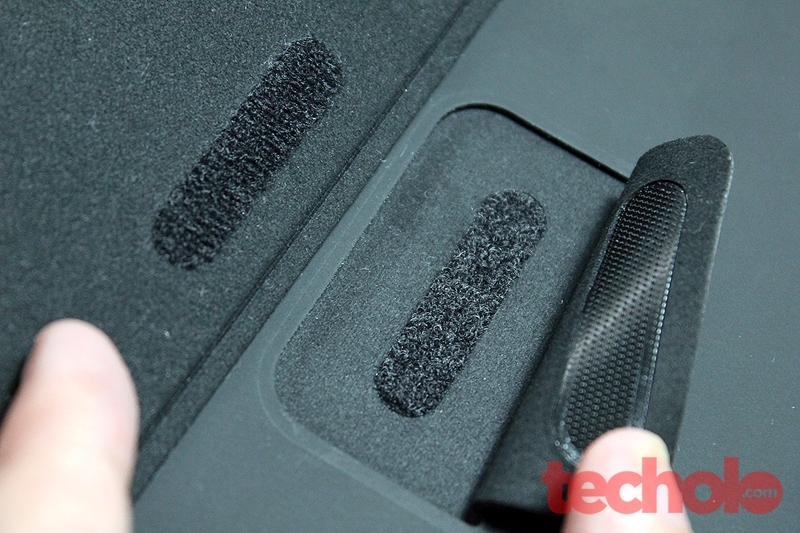 It also has the soft microfiber interior and 3 panels on the cover similar to the Smart Covers. The case has rubber protection covering the sides and corners of the device which offer better protection and smooth grip but making it stand can be a tricky and dangerous thing to achieve. I also believe that this is the only Touchstone compatible cover available for the TouchPad. 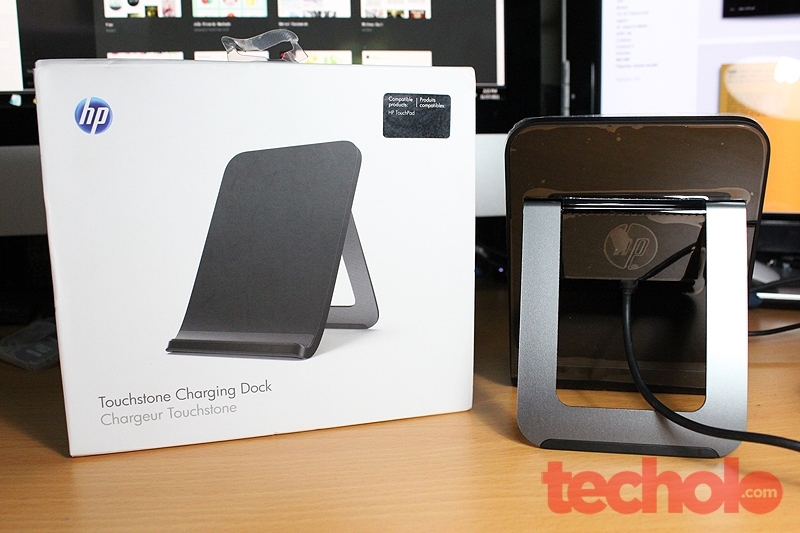 It may not look like a stone anymore as seen on its smaller phone counterpart but the Touchstone Charging Dock works as advertise. 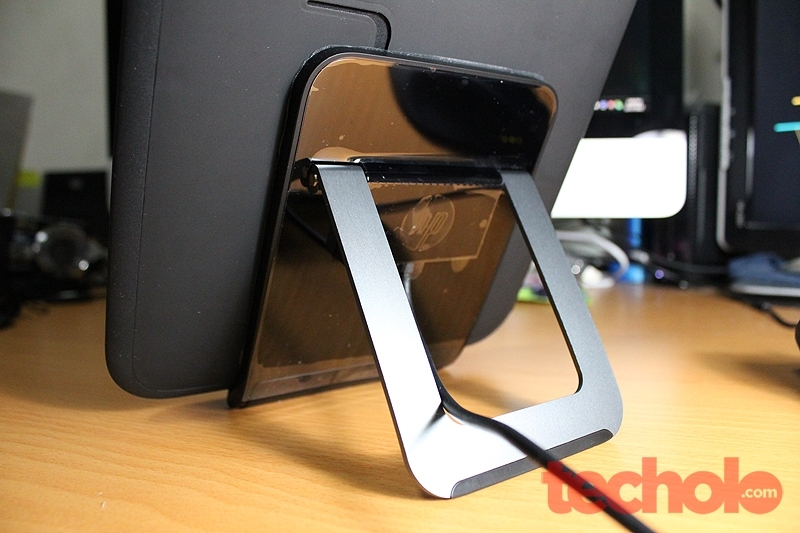 It charges the TouchPad wirelessly using inductive charging. Placing the TouchPad on the cradle would immediately launch Exhibition Mode and the device would start charging – wirelessly! I think devices should really integrate these inductive charging technology more. 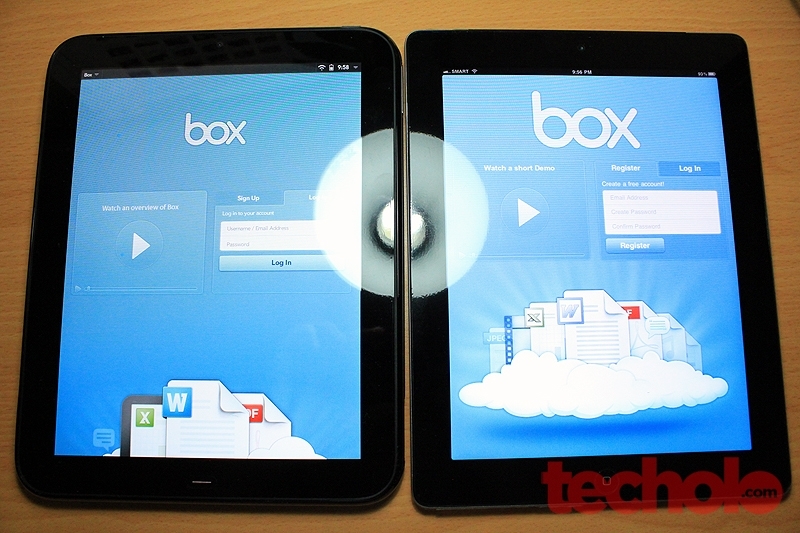 The Exhibition Mode allows the tablet to still function while docked. It can display the current time, weather, RSS feed, Twitter streams and Facebook wall updates and much more. It can also be your expensive animating LCD photo album. 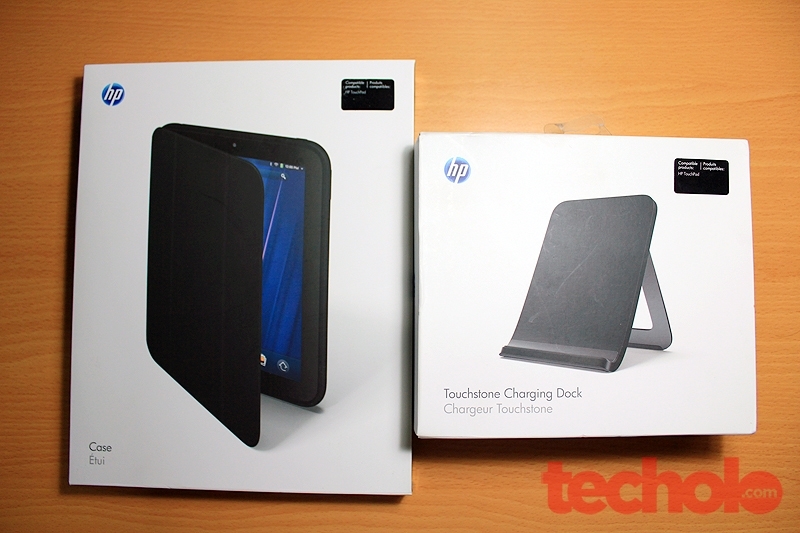 While unboxing the HP TouchPad, one thing I noticed was that the box was curiously square, and not rectangular like the usual (iPad) This is due to the fact that HP decided to place the cables and adapter on the left side rather than beneath the device. 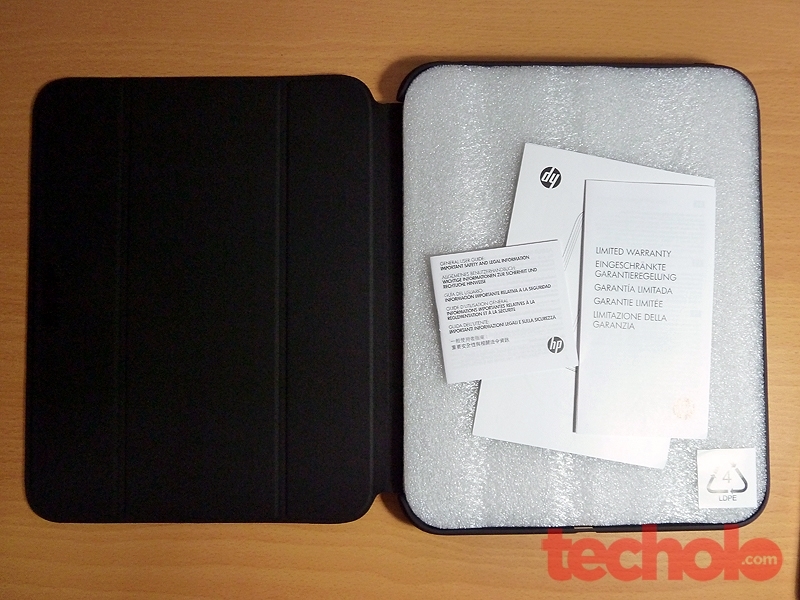 Along with the usual contents like cables and manuals, HP also included a microfiber cleaning cloth for the screen and the glossy piano-black body which is very prone to fingerprints and smudges. Booting the TouchPad, I was surprised to see a different startup screen. It showed a white background with some diagnostic menu similar to this video. 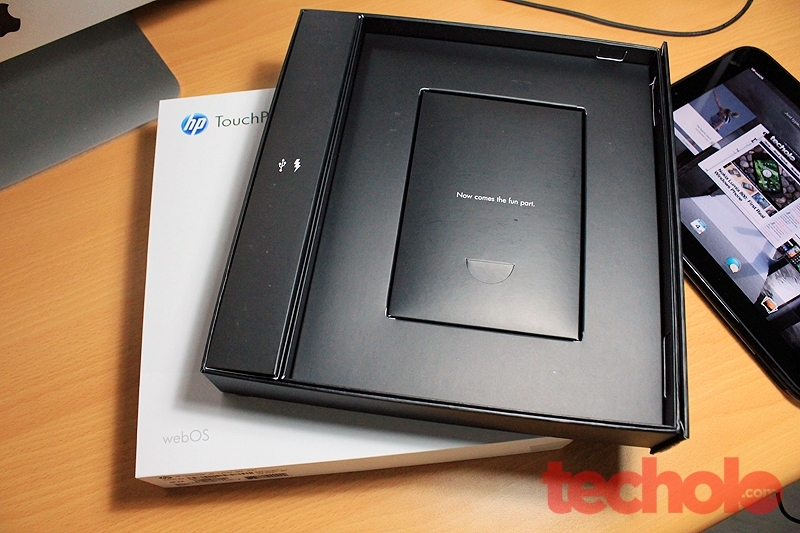 Apparently, some HP TouchPads are just that out of the box, which is weird. another annoying thing that I was welcomed with was that my device’s volume down button was recessed and somewhat stucked down. Just not my luck I guess. 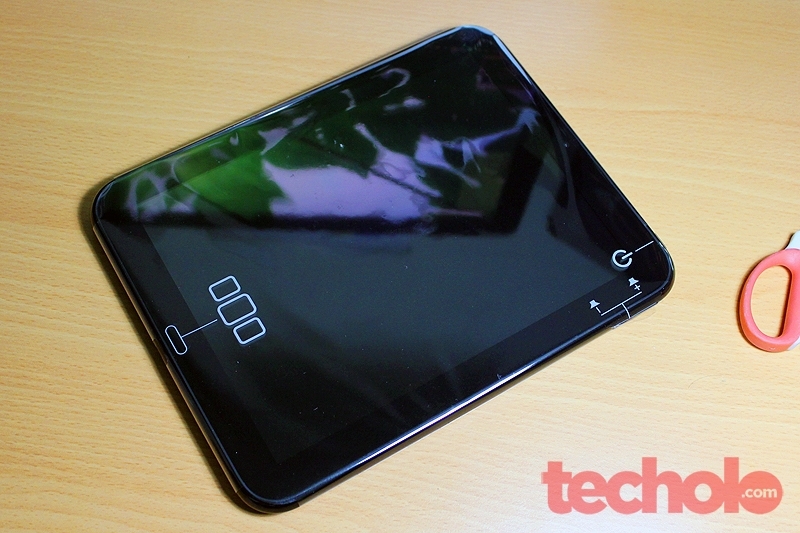 Besides my unlucky unit, the build quality of the TouchPad is great. 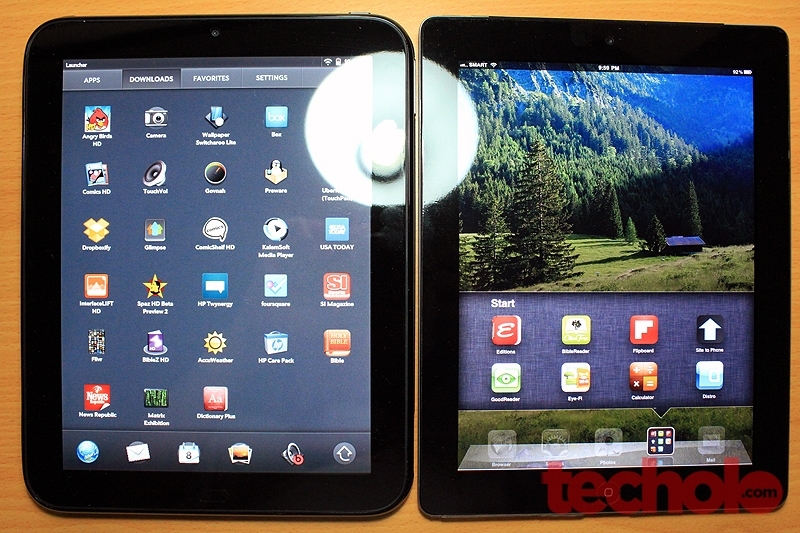 The IPS display is even comparable to the iPad. What bothered me was the weight of this (1.65 lbs) compared to the iPad 2 (1.33 lbs) that I have been used to carrying around. The inclusion of the front-facing camera is a plus that can be utilized for video chat on the built-in Skype messaging client. There is no back camera. 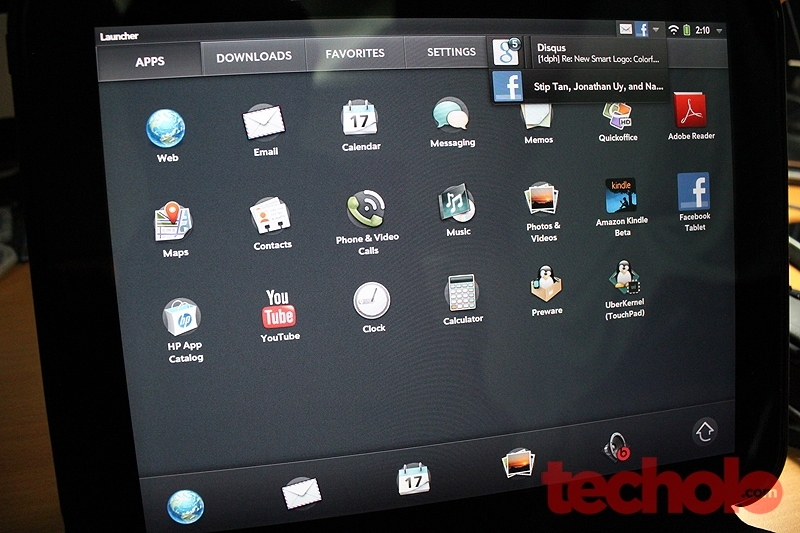 Having used WebOS on the phone, I was quite familiar with all the swiping and the ins and outs of the software. 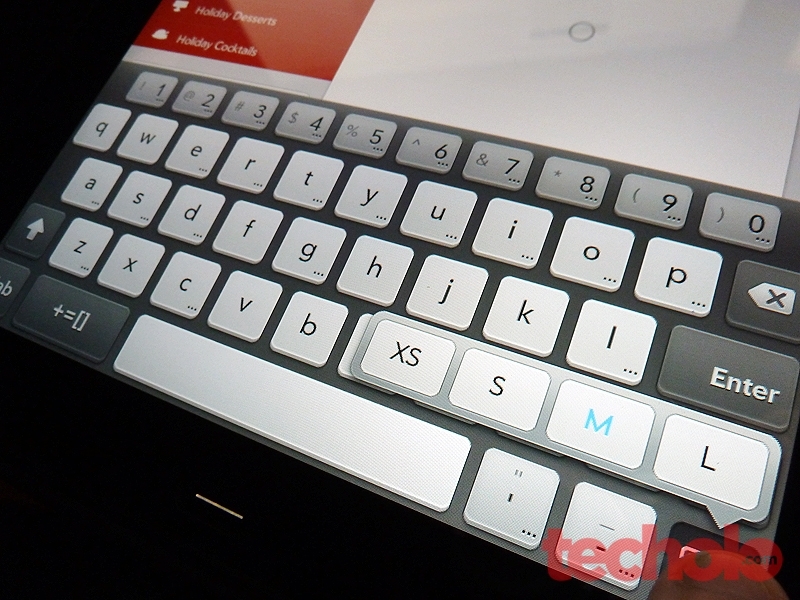 One thing different with this tablet version was that the gesture bar is now gone. So instead of the gesturing back and forward between apps, you’ll now have to use the click button or swipe bottom up to go back to the home or launch Launcher. 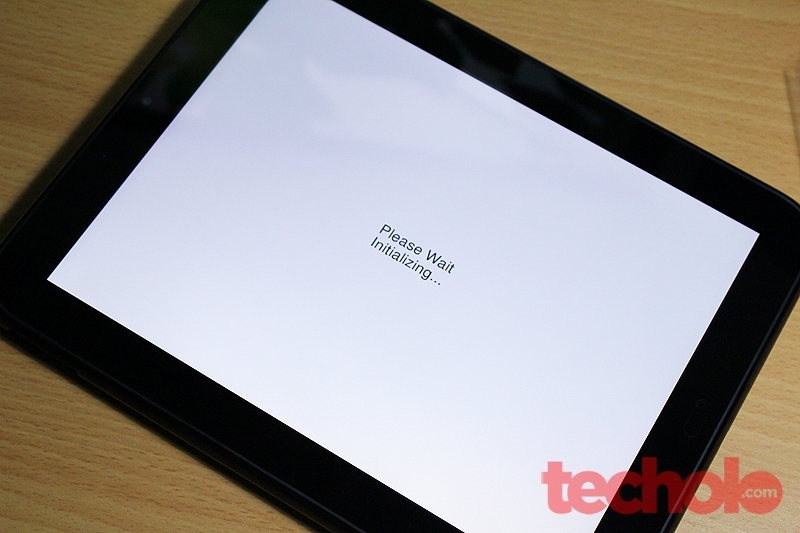 I was also surprised that the TouchPad had haptic feedback. Meaning it had a vibrate motor built-in the device which is useful on notifications, text messages (when connected to the Pre 3) and even games. To try to speed things up, I installed Preware and then Govnah (overclocking tool). Doing these tips and installing the patches also made my TP move a little faster. The TouchPad had pre-installed applications like Email, Calendar, Memos, Adobe PDF Reader, Maps (Bing-powered), Amazon Kindle and even QuickOffice. 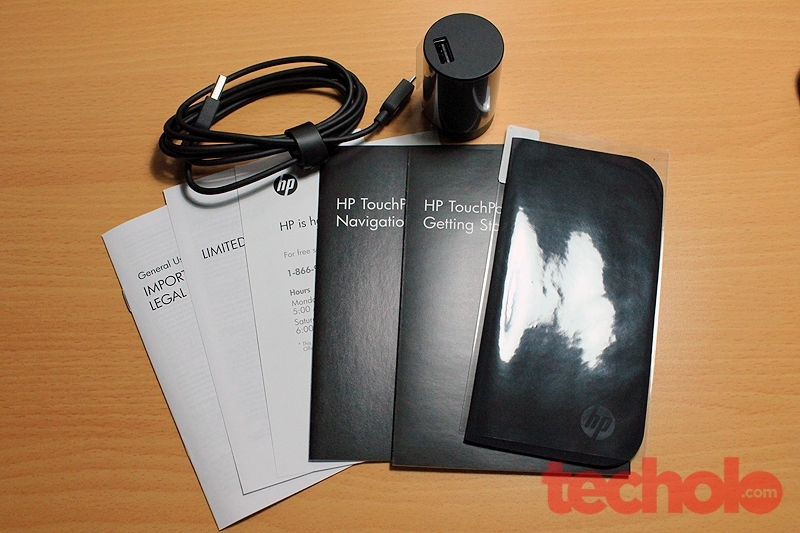 Some apps when clicked launched the HP App Catalog and proceeded downloading the app. The Youtube app however was worthless since it just opened up the browser and loaded the mobile version of Youtube. 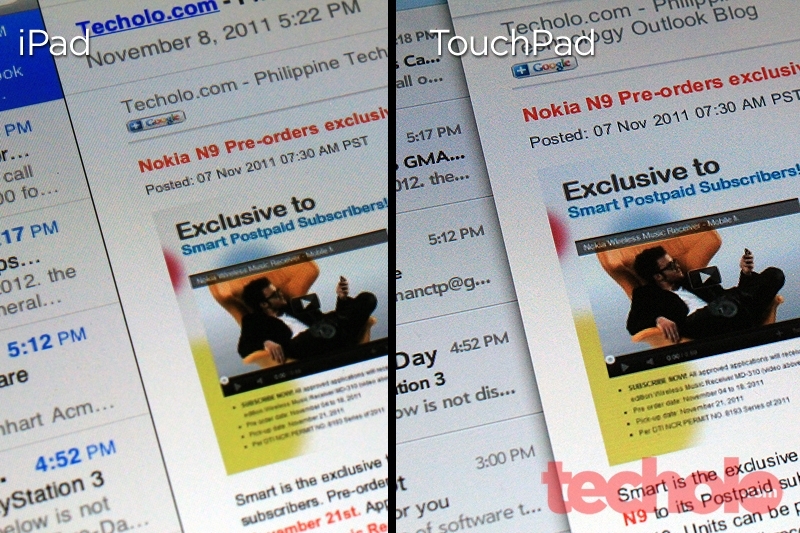 The layout of these built-in apps were very similar with Apple’s iOS with the use of panes. However, WebOS has a smarter way of managing multiple panes (Enyo) in way that is similar to how Facebook and Twitter apps perform on the iPad. You can slide panes on and off to focus on the main content. The keyboard was also a pleasant to use. It had options of Extra Small, Small, Medium and Large layouts, all showing the number keys on top which was really a very practical thing to include. I can’t imagine how many times I’ve pressed shift on the iPad just to type multiple numerals. The TouchPad makes this part easy for me. 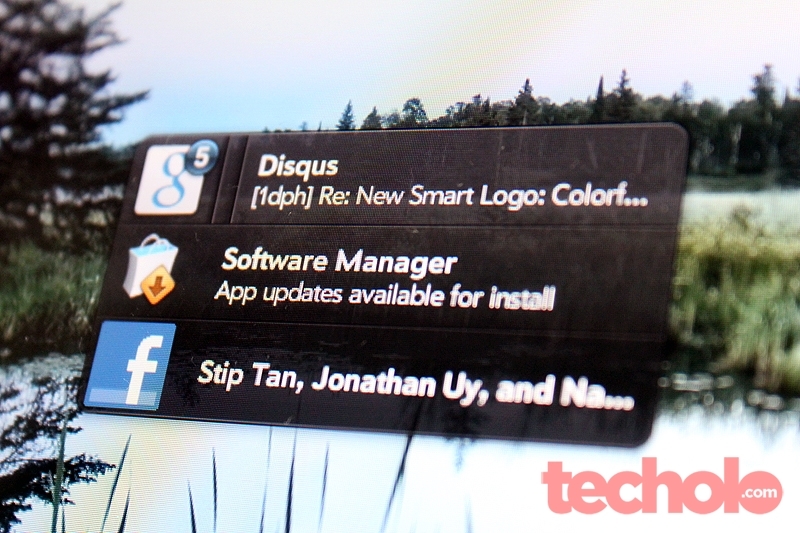 WebOS is known for its smart way of handling notifications. 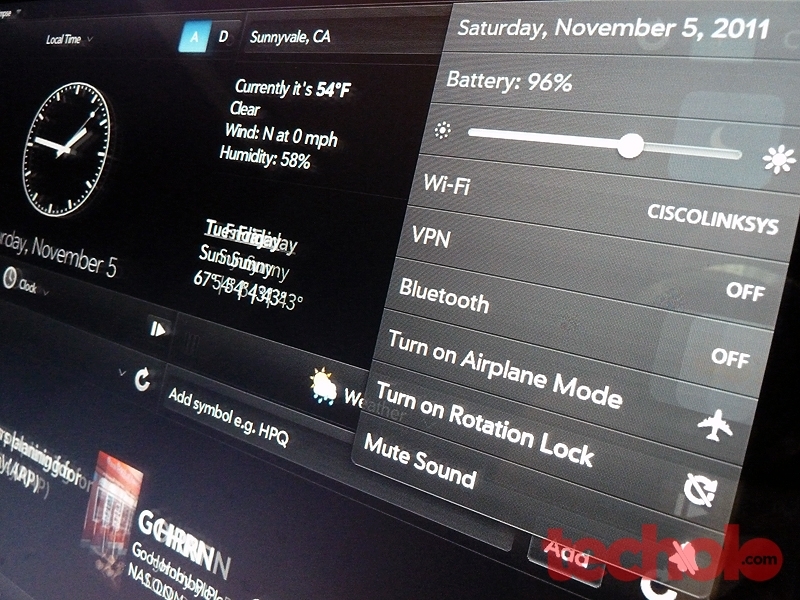 In WebOS 3.0, notifications go on the right side, beside the drop down toolbar settings. 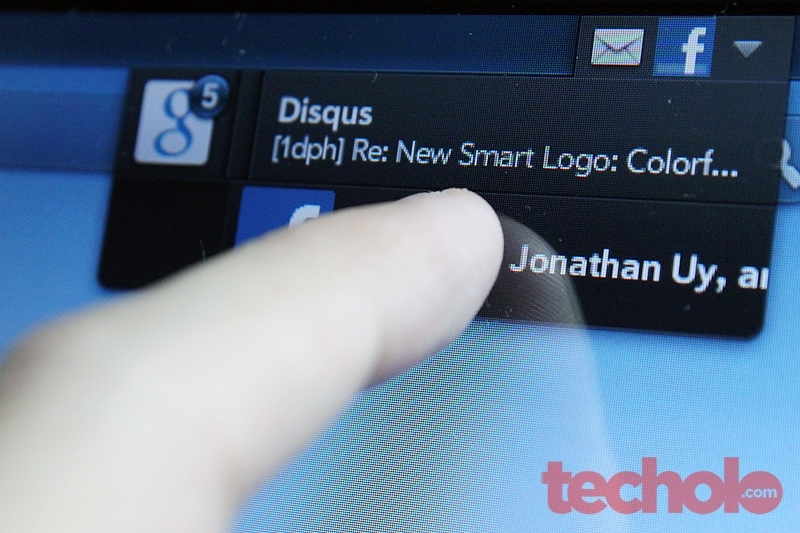 Notifications smoothly glides on top and when tapped will display a list. You can either slide to dismiss each notice or point and slide the icon to dismiss all at once. The lock screen also displays each new notifications but it isn’t accessible and doesn’t function as a shortcut on the lock screen ala iOS 5 swipe. 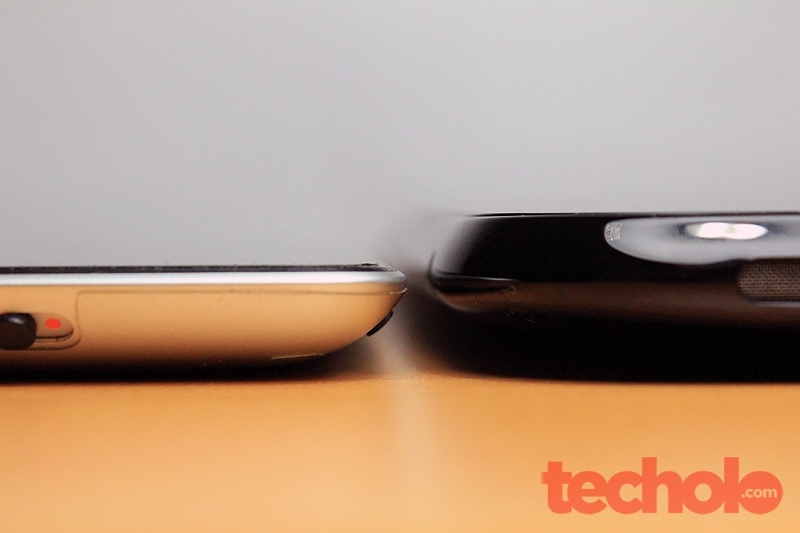 For the sake of comparison, let’s show these 2 devices side by side. I also tried to install and open up a common app – Box.net. You can see the difference of the app on each device. 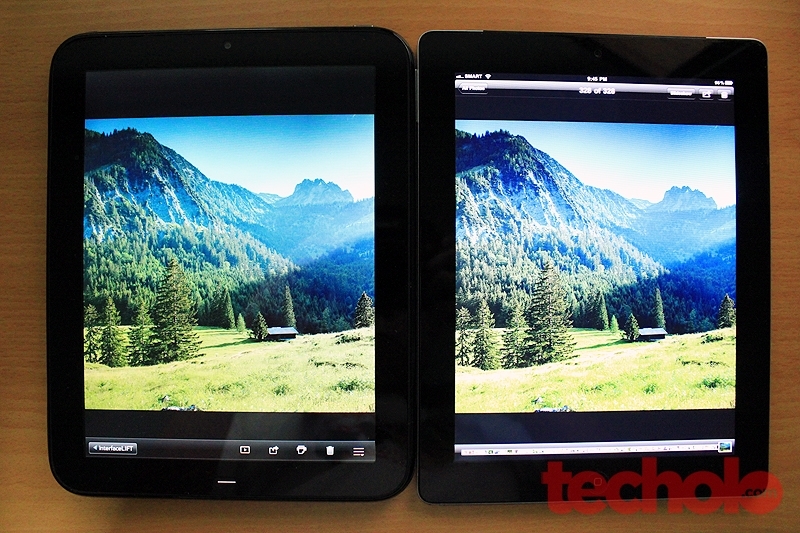 The display on the TouchPad seemed a little brighter than the iPad 2 both at full brightness. 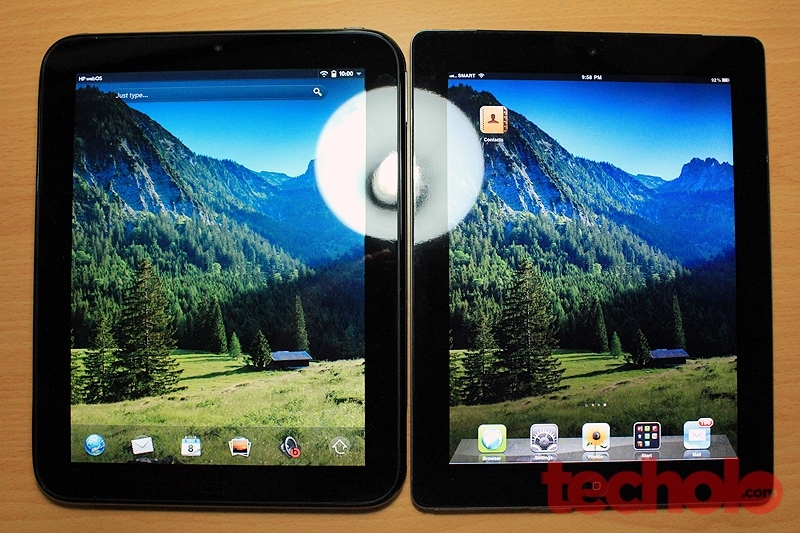 However, the iPad 2 bests the TouchPad hardware at all aspects except for one thing: the Beats Audio speakers. 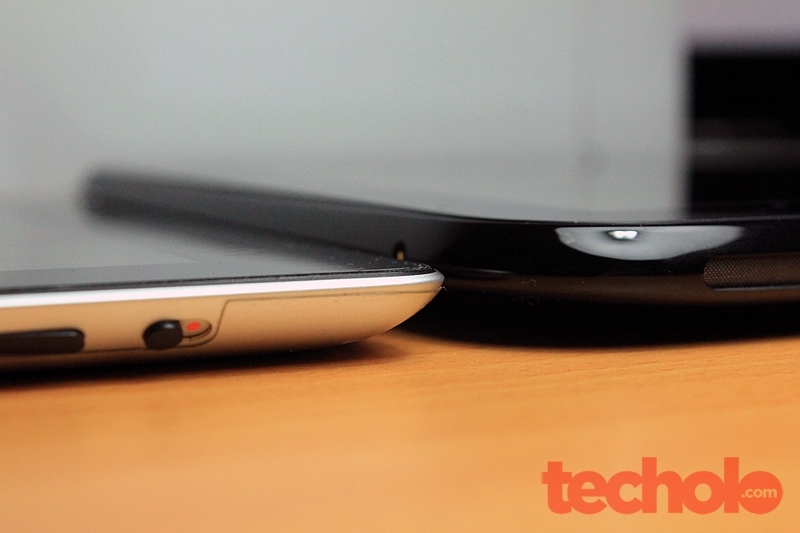 The TouchPad had that extra solid sound and sounded better than the iPad 2. 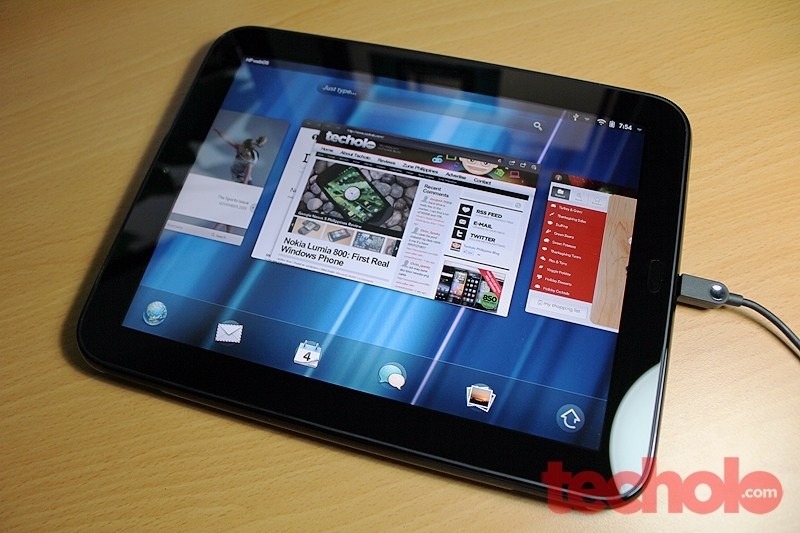 With iPad’s dominance in the tablet space, The TouchPad didn’t stand a chance and was never given one. 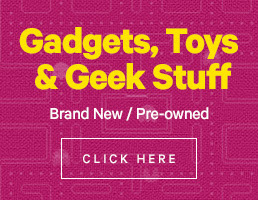 Same with RIM’s PlayBook or Motorola's Xoom and even Samsung’s Galaxy Tab. 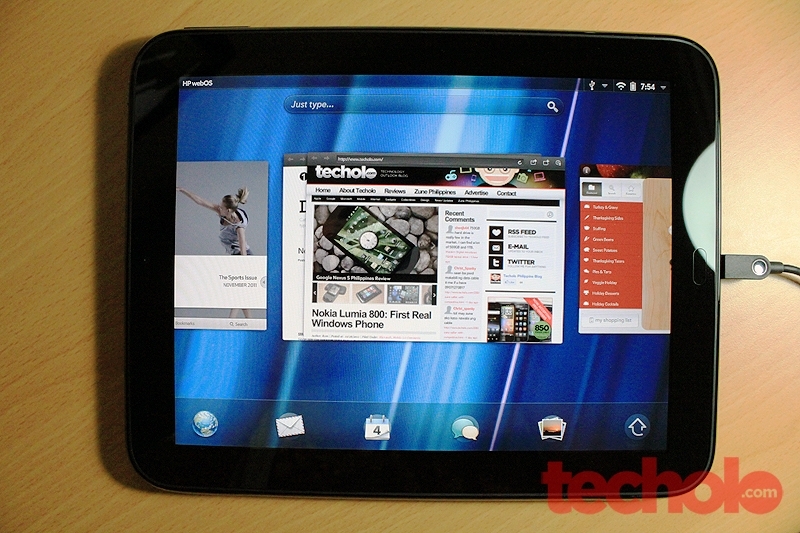 WebOS 3.0 on the TouchPad isn’t that bad, but it isn’t great either. It works for the occasional web surfer and multimedia user but considering there isn’t a lot of tablet-focused apps on the App Catalog, it would have a hard time competing with the two larger, more established ecosystems. 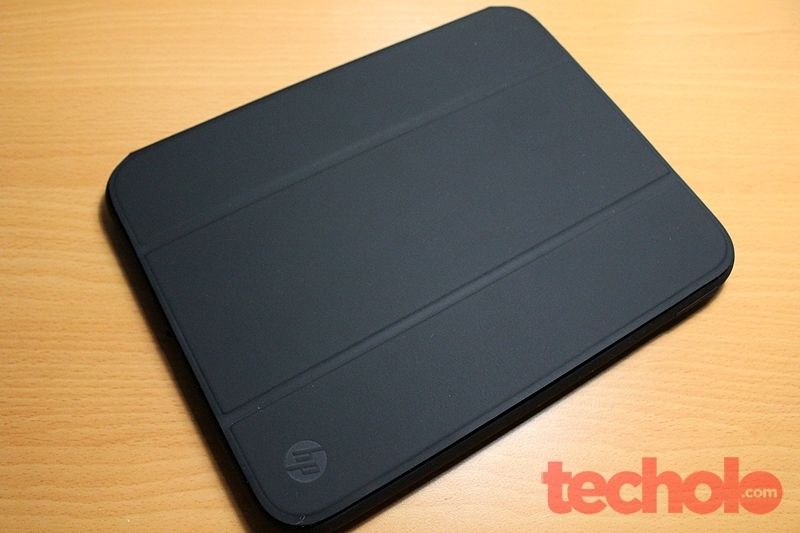 The HP Touchpad in itself is a lackluster device for it’s original price of $599 – but for a measly $149 it is one of the best tablets you can get right now price versus performance. 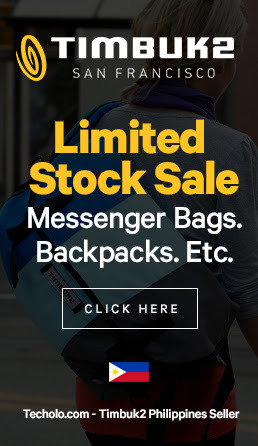 Sure WebOS is dead but might be dead but the millions it sold through the fire sale piqued interest on this device and now you can actually install a working Android Gingerbread on it. (soon Ice Cream Sandwich). Sometimes it just all boils to price.